More than anything, Sony's lost its spirit, spending too much time telling us it's the greatest electronics company in the world and not nearly enough showing us. Sony's last huge format hit was a product called "Compact Disc". You might have heard of it. Spinning plastic wheel with pits in the bottom? Read by lasers? Co-developed with Philips? It took a couple of years for CDs to take hold, but once they did, Sony raked in the cash. Not only by selling players, but by manufacturing CDs for themselves and others. It's a huge part of their business even today, as Sony DADC produces not just CDs, but DVDs, Blu-ray, and PlayStation discs in facilities around the world. Sony became spoiled. For decades, a success in a new media format meant that Sony could expect to make money selling the media itself. Through the '80s and '90s, they became less inclined to share the market. Sony developed the 3.5-inch floppy disc drive for computers which found wide adoption as blank discs were available from a variety of manufacturers. MiniDisc followed, but with less success. In 1998 as the flash memory market started to warm up, Sony introduced Memory Stick, what eventually became an entire family of expensive flash memory formats that were not compatible with devices from any other manufacturers. And don't forget the Blu-ray vs. HD-DVD war. Sony eventually won that one, but the battle continued for such a long time because neither consortium wanted to lose the market to produce media for consumers—consumers who were increasingly getting their content online. See the problem? Time and again, Sony took an excellently engineered solution and held it tightly, the better to extract big profits. But every generation, every iteration, Sony's need to control the format became more and more of a liability. Even loyal Sony customers could tell the proprietary formats were a screw job, eroding their happiness with their Sony product every time they had to shell out a premium to buy a Sony-authorized blank. Sony is rife with good ideas. Too afraid to commit to each one fully, Sony instead releases a ridiculous number of products in an attempt to see which might take hold, making many that seem like one-off oddities that even Sony doesn't believe in. Take "Bravia Link", the streaming media box that Sony decided to sell as a $200 aftermarket option for its televisions while Sony's competitors were integrating similar services right into the TV. Worse, Sony sells the PlayStation 3. Why not integrate the streaming service into that, adding value to the PS3 and buy-in of its customers? Or what about the Party-shot Automatic Photographer, a dock that works with just two models of Sony's point-and-shoot cameras to automatically compose and shoot portraits of party-goers. Great idea—so why isn't it just built into every camera Sony makes? Nintendo ate Sony's lunch with the Wii—so Sony is building a Wiimote clone for the PS3. Netbooks were hot—so Sony built a netbook twice as expensive as its competitors with little performance difference then let it fade away in the market after spending millions on its launch campaign. Sony released the first e-ink reader years before the Kindle—in Japan only. And it was nearly impossible to load your own content onto it. And it took years to get a solid online library and store together. According to estimates from Forrester Research, Sony had only sold about 50,000 of its Readers before Amazon entered the game with the Kindle. It took a competitor with a superior product to convince customers it was time to look at e-ink readers at all. And the non-strategic advantage of being the only reader sold in brick-and-mortar stores for Sony to get the #2 market share it had at last tally. Apple announced the iPad—so Sony says the tablet market is a "space [they] would like to be an active player in." I am sighing preemptively for the beautiful black slate that Sony will release in 2011, then never upgrade again. In the meantime Sony is pushing its new Chumby-based Dash device, or as you may recognize it, a five-inch thick touchscreen tablet that you have to keep plugged into a wall. Hmph! Sony Making an iPad of Their Own! For a brief moment, Sony's Vaio notebooks were among the most beautiful and colorful around. But it didn't take long for Sony's larger notebook competitors like HP to catch up on design—while Sony continued to charge a premium for their now stock-standard "pretty" laptops. Gartner analyst Leslie Fiering put it damningly: "They've been status quo for so long that it's hard to see signs of change. If they continue on the path they're on, they're going to continue to be an also-ran." That's today's Sony: an also-ran who wants to be respected like a market leader. For homework, Sony could start with these three studies from Stanford School of Business: "Too Much Choice Can Hurt Brand Performance"; "Asking Consumers to Compare May Have Unintended Results"; and "For Buyers, More Choice Means Better Quality". That last one might seem bolster Sony's shotgun marketing plan until you read this warning: "In one study, for example, consumers gave top ratings to a restaurant that offered a wide variety of dishes in one category—Thai food. But when that restaurant was portrayed as offering not only Thai food but also food in other categories, consumer ratings went down. 'In some cases, having a lot of unrelated options is a signal to the consumer that the brand is not focused, and therefore can't be very good.'" There's no better example of the arrogance of the modern Sony than the launch of the PlayStation 3. It was the last of the current generation of game consoles to market. It cost more than all its competitors. Kaz Hirai, then president and CEO of Sony Computer Entertainment America and now the head of the entire ball of wax worldwide, said infamously, "The next generation doesn't start until we say it does." People were rolling their eyes at Sony even as Hirai and his executive team made those lofty statements—but our eyes flipped all the way into the backs of our skulls after Sony spent the next three years struggling in a videogame market they once dominated. Why Sony would present this cocky face to the world is impossible to understand, until you realize that it's the sort of self-delusional bluster, pre-game trash talk, from a team that hasn't won a championship in years. It's clear in their marketing and press relations, too. Sony is always quick to throw a big party, launch some laptop with a silly event like a fashion show, or hand press review units out to lifestyle magazines but not technical publications. Having had one accidental lifestyle product success with the Walkman, Sony mistakenly believes that its products are stylish—when in fact the Walkman became a style icon despite its often garish or pedestrian looks. 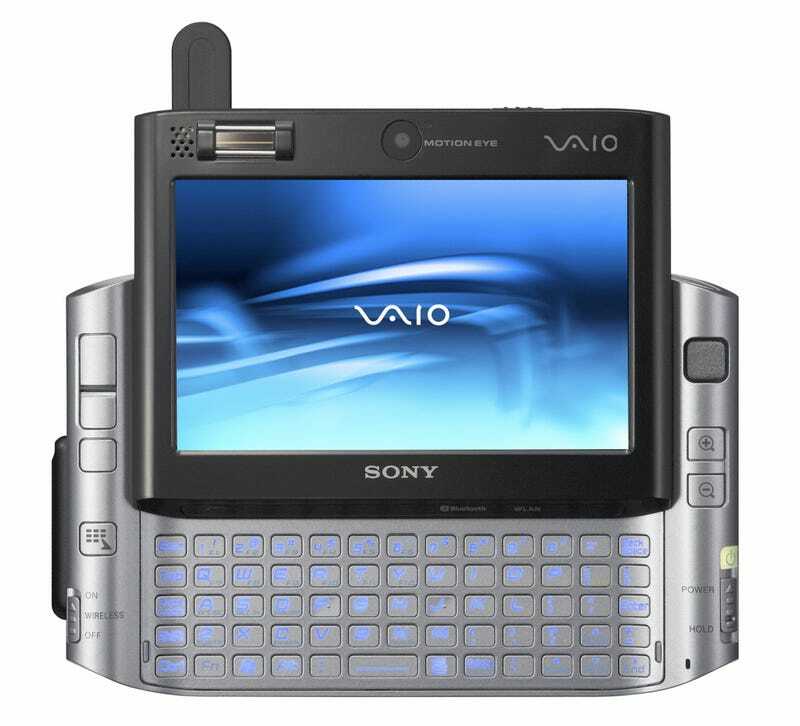 If you think this is too harsh an appraisal, think about the many Sony products that arbitrarily ended up in our 50 Worst Gadgets of the Decade roundup. Almost all of them are guilty of more than one of the above infractions, and some—such as the $1900 solid-brass MiniDisc player above, a key device in the short-lived Qualia luxury line—are the glorious embodiment of all three. I believe Sony has the chutzpah to do more than make me-too products—they're capable of making market-expanding products that become household names. But until they take a hard look at themselves in an honest light, Sony will continue to embarrass themselves by remaining the company that says they're bringing us the future—then sells us products even they don't believe in.